The first task that you must accomplish in order to legally begin security operations in most states is getting your license. State requirements vary greatly and you may have a test to take, an application to file, and/or need some relevant law enforcement, security officer or military experience. There are still a few states remaining that do not require a license to operate but the large majority of them have some type of process/oversight agency in place. It is imperative that you reach out to your state licensing agency before spending any time or money on your endeavor as it will be in vain if you don’t qualify for a license. We have taken on the painstaking task of compiling a map that contains contact info for all state licensing agencies. There may be a lag time in processing your paperwork once submitted, so get the process started while you’re building your infrastructure so you have some continuity in your execution and can minimize downtime. Once you are confident you qualify for a license, begin with tasks such as incorporating your company, getting quotes for liability insurance (contact Mechanic Group Insurance for this) or starting your website and logo design. If you hire us to build your security company for you we can do that while you are going through the licensing process. If you wait until you have your license in hand you will have wasted valuable time that could have been used for company set up, and considering that the process can take upwards of a few months in some states, it can equate to a significant amount of down time. If you happen to be in a state that requires a certain level of industry experience in order to get a license and you do not yourself qualify, you may consider finding someone who can qualify and bring them on board as the license holder, offering them some type of payment or percentage of the business. It may not be ideal, but at least you will still be able to move forward with getting a company started. startasecuritycompany.com for a complete list of our tutorial eBooks and security templates and visit our security bundle packages page for great deals when purchasing more than one item. For the best deals on security uniforms and equipment, visit our online store at officersupplydepot.com..
Once you have established your name and location, you’ll need to obtain a phone line. We recommend that you utilize an 800 number over a cell phone or personal house phone as it gives a professional and corporate feel to your business. You want to do business with large corporations, so it is important that your firm presents the look and feel of a large company, even if you are still working out of your basement. Remember, sometimes image is everything. To build on this we also recommend a professional voice greeting for your 800 line, recorded in a studio utilizing a professional speaker. This recording, along with your 800 number, will provide an excellent first impression to potential clients. Never, ever use an answering machine and avoid voicemail greetings that you created yourself as they will never sound as professional as one that is created in a studio. Listen to a Sample by clicking on this link (push control then click your mouse on the Listen to a Sample link) to get an idea of what I am speaking of. 800 numbers can be quite expensive and to add to this expense you will often times need an additional phone line for your fax machine. We have found a very affordable solution that we have been utilizing for our businesses for over 10 years. The name of the company is ConnectMeVoice and they can provide you an 800 number as well as a dedicated fax line for around $30 per month. The system is highly customizable and what I like most about it is that it is not a hard wired system but instead will forward incoming calls to whatever telephone numbers you program into the system (including cell numbers). This allows you to stay mobile by answering calls to your 800 number through your cell phone (clients will not know you are on your cell). Instead of a fax land line, you are provided a dedicated fax number that will allow you to send and receive faxes directly from your computer. I love the functionality of this and do not at all miss messing around with an expensive and cumbersome fax machine. One of our goals is to keep your business as mobile as possible and this 800 number and fax solution put you in a position where you can basically run your business from anywhere in the world as long as you have your cell phone and your laptop. It is truly an inexpensive, customizable and mobile 800 number and fax solution. To inquire into this service contact customer service at ConnectMeVoice at 800-743-1208 Ext 3. 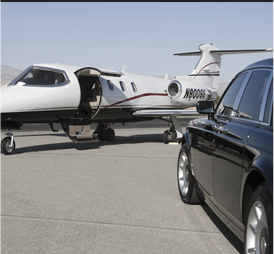 Let them know that you want the startasecuritycompany.com ConnectBiz plan with the toll free phone number and fax line. By mentioning our name ConnectMeVoice will waive the $20 set up fee..
startasecuritycompany.com for a complete list of our tutorial eBooks and security templates and visit our security bundle packages page for great deals when purchasing more than one item.For the best deals on security uniforms and equipment, visit our online store at officersupplydepot.com. For those of you who are not familiar, search engine optimization (SEO) is the process of improving and increasing the volume or quality of traffic (visitors on your website) through search results from search engines such as Google and Bing. So why is SEO considered the most powerful form of marketing today? There are a variety of reasons SEO reigns King in the marketing realm. SEO is cost effective because you are driving targeted groups of highly interested traffic or users to your website. This means higher conversion rates, more customers and overall, more profits. You are also having the leads come to you which frees up your time marketing in order to focus on what really matters, your security business. People trust search engines like Google and Bing to solve their daily questions, problems, concerns, etc. After each search made, the search engines provide immediate results to the users, telling them who is the most relevant and quality solution to their problem is. If you are a security company in Boulder, Colorado, you want to be the first thing that pops up in Google when someone types in “security guard company boulder colorado.” This is even more important in todays world where people don’t have time to be patient. If you are looking for ways to make more money, build your brand and expand your security company, SEO is the best place to start. If you are new to SEO, be sure to get a FREE copy of our Ebook, “SEO For Security Guard Companies.” The book is a great intro to SEO and it’s direct benefits for your security company. Be sure to check out our industry specific SEO packages for security guard companies at startasecuritycompany.com. There are many ways to register a business name and acquire your EIN number and we recommend that you use a cost effective method. Our company has had great success with MYCorporation.com. They will file your corporation or other business entity, check the availability of corporate names and file your DBA (doing business as), obtain your EIN number (Federal Employer Identification Number) and register your business with your state. Why incorporate over a different entity type? Incorporation is often utilized by businesses that want to raise capital or offer stock options to employees. Incorporating the business also allows for unlimited shareholders (not applicable to S-Corps). An S-Corporation is a regular corporation that has elected “S-Corporation” tax status. Forming an S-Corporation lets you enjoy the limited liability of a corporate shareholder but pay income taxes as if you were a sole proprietor or a partner. In an S-Corporation, all business profits “pass through” to the owners, who report them on their personal tax returns. The S-Corporation itself does not pay any income tax. Therefore, an S-Corporation elects not to be taxed as a corporation. After the corporation has been formed, it may elect “S-Corporation Status” by submitting IRS form 2553 to the IRS (in some cases a state filing is required as well). Why an LLC over a corporation? The LLC Structure is generally simpler to maintain (i.e., there is generally no need to have annual meetings or update minutes). The LLC structure also has greater flexibility in economic and management structure. Contact your accountant and/or attorney if you’re not sure which entity type would best suit you. Many small companies use a Post Office Box as their address. That is the number one guarantee that you will not be contacted by the larger or more established businesses. Your goal when creating your business should be to create a high level of professionalism and a strong corporate feel throughout all aspects, this includes your address. The impact of the second address on the corporate feel of your firm speaks for itself. Use a virtual office. A reputable company that we recommend for this service is HQ.com. They have 750 business locations, in prominent buildings, that are available to you when you need them. The second address provided in the above example happens to be an actual HQ virtual office location that you could rent. By choosing this route you will have a mail forwarding system in place, a corporate address, boardrooms to use when you need them and will have the option to utilize some of their other excellent services such as professional phone answering. You receive these benefits at a fraction of what it would cost for you to rent an actual brick and mortar location. One of our primary goals is to assist you in avoiding some of the common mistakes made when creating a new security guard firm and spending too much on a brick and mortar office or using a PO Box are a couple of the big ones. If you’re like most of our clients, you have limited funds for this venture and preserving capital is critical to your chances for success. That being said, a virtual office is one of the best things you can do to preserve your capital while at the same time keeping your monthly bills low. No one knows when their first contract will be acquired, nor how long it will take to generate any type of legitimate revenue, so it is absolutely critical that you keep your expenses low and your money in the bank; a virtual office is one of the best ways to achieve this. startasecuritycompany.com for a complete list of our tutorial eBooks and security templates and visit our security bundle packages page for great deals when purchasing more than one item. For the best deals on security uniforms and equipment, visit our online store at officersupplydepot.com. A necessary component required to operate a Watch, Guard, Patrol or Investigative Company is that you are licensed, bonded and insured. Most insurance companies do not offer the specific type of coverage that your municipal governing bodies require of your business so you will most likely need to contact a firm that specialized in this type of coverage. Premiums are based on who your clients are, where they are located, services you are providing, whether your guards will be armed or unarmed and your annual payroll. A useful tip when going through the application process as a new firm is to keep it short and simple when communicating the types of clients you are attempting to procure. 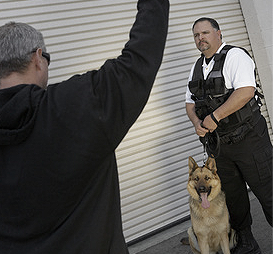 You may hope to obtain clients who desire a broad array of security needs from basic unarmed uniformed officers to armed guards to executive protection, but it is important to understand that the majority of the industry demand is for unarmed, uniformed officers, and this is most likely where the bulk of your services will be provided. 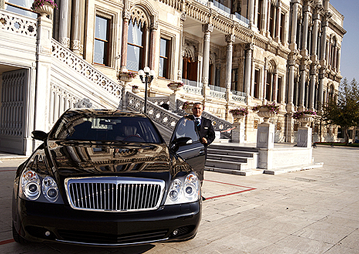 When communicating the types of services you are looking to provide in your application for insurance, stay away from listing the higher risk services such as armed guards and executive protection as they will automatically increase your initial premium even though you are yet to have a contract providing the service. You can always add these higher risk services to your coverage on a case by case basis as you obtain the projects. In the meantime, stick to listing unarmed services at construction sites, retail stores and parking lots as it will potentially save you thousands in unnecessary premium costs. If you’re looking for more info and details on how to get started be sure to visit startasecuritycompany.com for a complete list of our tutorial eBooks and security templates and visit our Business in a Box page for a great deal when purchasing all of our products. For the best prices on security uniforms and equipment, visit our online store at officersupplydepot.com. When most people think of landing government security contracts, they usually immediately think of the federal government. While it’s true that there are big federal contracts, it’s important not to overlook the tremendous opportunity in local municipalities such as villages, townships, counties and the state. Smaller government entities usually utilize a simple process when it comes to hiring contractors; bidding. It’s pretty straight forward, when it comes to government security contracts, the lowest “responsible” bidder wins. Of course, this may not always be the case when working with small town municipalities! So, what is a “responsible” bidder? Our Ebook “How To Land Security Contracts” goes into detail on how to establish yourself as a responsible bidder when your brand new and just getting started. 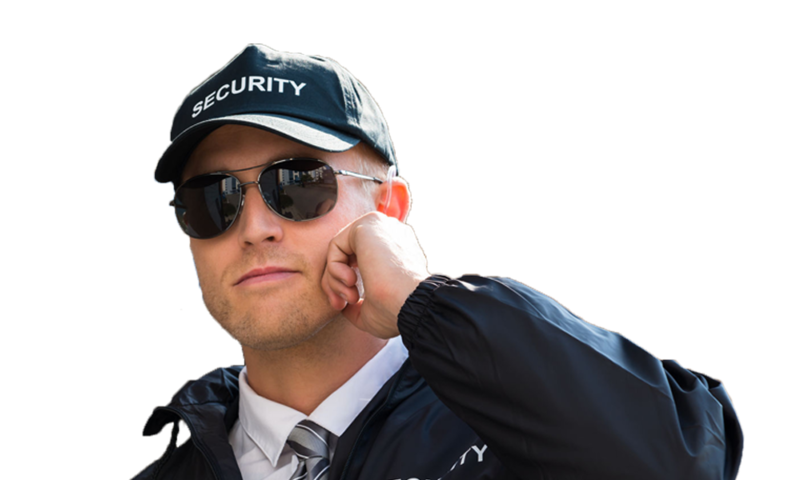 You can find the exact proposals and contracts that have landed our security company, USPA, lifetime contracts over and over again at startasecuritycompany.com. These security proposals and contracts are completely editable and customizable to your security company and can be used immediately after filling in your information. When looking to land government security contracts, it’s important to understand price points for your proposals. Although the security industry can be extremely lucrative and prosperous, it’s been dominated by the “cheapest cost theory” in which the lowest bidder usually wins. This is outlined in extreme detail in the Ebook “How To Land Government Contracts” as it’s vital that you understand the price points for your target markets. Request For Proposals or RFP’s as we will refer to them, are periodically issued as well. The difference between an RFP and the lowest responsible bidder; the lowest responsible bidder focuses on best price, while the RFP focuses on best “value.” With that being said, price still always plays a big role and can be the determining factor on whether or not you get the contract. So what can you do to increase your chances of landing government security contracts? Although we just went over the “cheapest cost theory” and keeping billable costs to the client low, it is important to understand that your ability to prosper is very high when landing government security contracts. You must be savvy, patient, diligent and committed, but the investment is worth the reward! 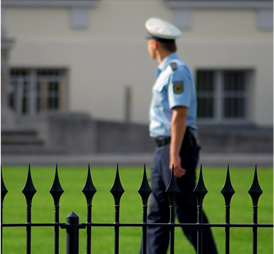 Are you wondering how to get a security guard license? When starting a security company, usually your first task will be to get a license (if required). Security guard license requirements vary state by state, so this question has different answers depending on your geographical location. Some states require you to take a test or put an application on file, while other states don’t have any licensing requirements. For license requirement by state, visit our Licensing Resource Page. 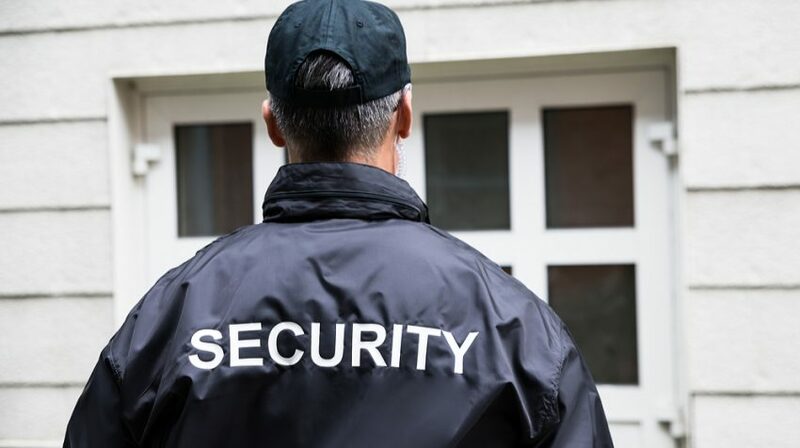 When it comes to finding out how to get a security guard license, you will find it best to get going as soon as you can. Often times there is a lag time in the processing of paperwork, so it’s best to get this going while you start building you’re infrastructure. When choosing a name it’s important to think on a macro level. For example, if you plan on expanding your business outside of the town or city you live in, name recognition is something that you need weigh heavily on. For instance, “Larry’s Security” or “East Lansing Security” are both names that clearly sound like small time companies. On the other hand, a name like “Security Group International” sounds like a company that has been around for a while and has done a lot of business (and not just business in their hometown), whether this is true or not. You have to start thinking about how you will be branding your company and the perceived image you are portraying. So now you’ve found out how to get a security guard license and you have hopefully chosen a name. Next you will want to register your security business. You can do this in a variety of ways and you can find out different companies that will do it all for you online. In our “How To Start A Security Company” Ebook, we show you the company that we use. They will do everything from filing, checking on availability of names, DBA’s, EIN numbers and even register your business with your state. Lastly, we will touch base on insurance and bonding. 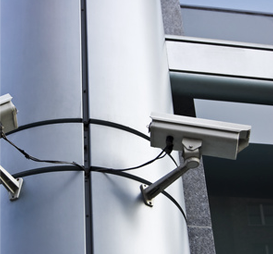 This is something that is required in order to operate a Watch, Guard, Patrol or Investigative company. It’s amazing how many companies, both new and old, that are being ripped off by insurance companies as most of these companies do not offer the specific type of insurance required by municipal governing bodies. Through extensive research, we’ve found a company that does just that! On average, Mechanic Group has been able to save USPA roughly $5k per year. Mechanic Group has security specific insurance and they are undoubtably the most affordable and effective insurance company that we’ve found. Check out Mechanic Group today to get a FREE quote and just mention you were referred by startasecuritycompany.com to get the hook up! For more information on starting a security company, check out startasecuritycompany.com.